A blog about general economic whatnots and classical economic theory, from the perspective of an 18-year old secondary school student from Hungary. Currently archived and on hiatus since January 2013, see top post for explanation! It is now July 2014, and this means that Schoolonomic has been without new posts for over more than a year. This is an official declaration of what has long been de facto the case - the blog is currently on an indefinite hiatus, and probably won't be relaunched anytime soon. The original decision to suspend the blog was part personal, part professional - at the time I was still a secondary school student with exams closing in, while currently I am an undergraduate of Economics at University College London. This is an entirely different position requiring different priorities - and I more than regret that continuing the blog could not be one of them. But, I am more than eager to keep the currently existing blog posts online - economic blogging has come a long way since 2012, and blogs and vlogs like EconPop are all the new rave these days. I may very well decide to relaunch this project - and in that case, expect more economic trivia, fun facts and the like in a new, more informed form, enhanced with the immense body of knowledge studying at UCL gave me. Have a nice summer everyone - I hope you'll enjoy shifting through the posts! Admit it, we all like to take chances, and gamble sometimes - and governments around the world have always been aware of this. The first recorded lottery slips, from the time of the 2th century BC Han Dynasty, were found in China, and they were reportedly used to finance the Great Wall. However, sometimes governments miscalculate - and that's when fortune-seeking economists come to the picture. How can the system be defeated? And who invented how to beat the system? Read below. In April 1994, the assassination of the Rwandan president (and dictator) lead to one of the most vicious outbreaks of human violence. 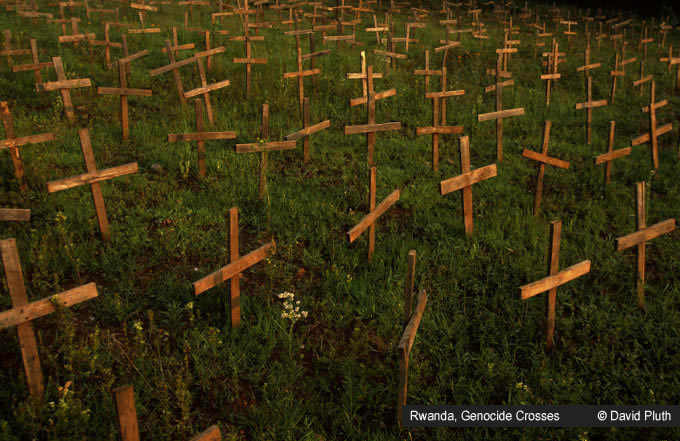 Over the course of just 100 days, members of the majority Hutu ethnicity killed between 500,000 and 1,000,000 members mostly of the Tutsi minority, before a Tutsi militia took control of the country in early June - in turn forcing millions of Hutus to seek shelter abroad from retaliation. What lead to this vicious ethnic cleansing? Were it only the underlying ethnic conflicts - or were there economic factors in the background? The hottest economic topic in the first days of 2013 - or at least, in America - undoubtedly has to be the fiscal cliff and it's aftereffects. And while the terms like fiscal cliff, debt consolidation and austerity might sound like yet another round of obscure financial gibberish, one of the solutions proposed as the solution of America's mounting public finance crisis is certainly more interesting. How could a 1,000,000,000,000 dollar platinum coin be the solution? And what is the problem in the first place? Since the beginning of December, many Hungarian students have been protesting against a series of government measures which include both a cutback of state-financed university places and an obligatory contract which requires state-financed students to work in Hungary for at least 10 years upon graduation. The decisions outraged university students, applicants and teachers alike - yet in many other countries, university costs are indeed financed by the students themselves. Who is right? What could be the optimal solution for Hungarian higher education? Schoolonomic would like to wish Merry Christmas and an undisturbed festive season to all of it's past, present and future readers. In today's post, we will explore the economic background of the holidays - what effects does gift-giving have on our economies? On November 6th 2012, our class has visited a glassmaking factory at Orosháza, a Hungarian city with a strong tradition of glassmaking. The factory belongs to Guardian, one of the largest industrial glass producer companies in the world. We have seen the process of float glass-making in it's totality – from the immense heat of the glass furnace to the high-tech, automatised error scanning system. But how does this relate to the field of economics? Read below. Schoolnomic wishes to show you the bright side of economics - we are writing about economic fun facts, whatnots, as well as classical economic theory, economic history and explanation of basic economic concepts in an understandable language. Ranging from the analysis of PC game stock exchanges to essays on school catering, this blog hopes to provide a unique and understandable perspective of the economic sciences. My name is Robert Palasik, and I am a 4th form secondary school student in Budapest, Hungary. My chief interests are - care to guess? - economics, history, politics and the like, and I am also a volunteer for two foundations - one dedicated to the rehabilitation of disadvantaged families, and another dedicated to the promotion of domestic Hungarian agricultural products.